ACADEMY OF INDIGENOUS MUSIC is located in Imphal Manipur . ACADEMY OF INDIGENOUS MUSIC is registered as a Society at Imphal of state Manipur with Ngo unique registration ID 'MN/2010/0033737' . 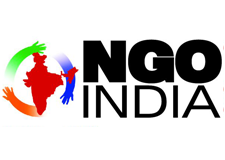 The NGO registration is done by Registrar of Societies with registration number 511/SR/IW/2006 on the date of 26-12-2006, Its parent ORganaisation is Academy of Indigenous Music. The Chairman of ACADEMY OF INDIGENOUS MUSIC is W Nabachandra Singh and Chief functionary officer is L Somen Singh. To maintain and to establish the tradition of Guru-Shishya Parampara through the rhythm of indigenous music. To promote, preserve propasgate, explore and revitalize the rich culture heritages and traditions in the region under the tone of indigenous Music. To organize Seminar, conference, Research Project., Performances, Cultural Exchange programme and cultural awareness activities. To enable to bring people to understand the idea of oneness through cultural integration under the sole objective for achieving the lofty ideas of Shri-Chit-Anand under Indian Philosophy. To take up programme and projects on Research, Documentation and Preformances for Musical Activities. To strengthen Indian Culture through indigenous traditional culture.